No, no one is firing on the White House, but someone put a fire under the White House – there’s just no other explanation for how quickly John Kerry and Barack Obama are moving. Wow – lightning speed. What was that phrase from Grease? Ah yes…Greased Lightning…. Right after the body of an Arab boy was found in a Jerusalem forest, without knowing any details – both John Kerry and Barack Obama went into action. Quickly they condemned the murder…which should be condemned (even after I’m sure it will soon be confirming that the boy was killed by either a rival Arab clan…or perhaps his own family…maybe he was gay…maybe he slept with his cousin…). The point is that we don’t know anything other than that the boy was killed. It took the US (Kerry and not Obama) more than THREE DAYS to condemn the kidnapping of our boys, Eyal, Gilad, and Naftali. I actually never heard Obama comment until after the bodies were found. What I did hear then, was calls for restraint. Sure, Israel be upset that three of your children were taken…and then murdered…but remember, restrain yourself. Yesterday, all of Jerusalem was under attack in one way or another. A light rail security guard was almost stabbed right outside my office building. Arabs were rioting, setting fires and destroying property in the northern Jerusalem neighborhood of Shuafat – Palestinians like to call it a “refugee camp” – but its got stores, electricity, tons of cars parked on all the nicely paved streets, a light rail train running through it – indoor plumbing and very nice yards…it even has street signs … well it did last time I drove through it last week. Police video showed one hooligan shaking a sign back and forth trying to destroy it…which begs the question… what did that sign ever do to him? No, I am not making light of the murder of a child – Jew or Arab. I condemn the murder completely, entirely and unlike the Arabs, I do not in any way make excuses. The person or persons who murdered that boy deserve to be punished. Within hours of finding the body – Abu Mazen was quick to blame the Jews…I can’t wait to hear what he says when they prove the boy was killed by an Arab. I am so confident that they will find out was an Arab …and I am hopeful (though not optimistic) that Obama and Kerry will issue a deep and sincere apology to the people of Israel for breaking a fundamental American principle – that one is innocent until proven guilty. John Kerry even phoned Israeli Prime Minister Bibi Netanyahu over the murder of the Arab boy…not the kidnapping and murder of Israel’s children. I can hope (though I’m not optimistic), that maybe the US changed its phone plan and got cheaper rates. That must be it. Last night, Israeli cities in the south were bombarded yet again by rocket attacks. Direct hit on a home. Tens of thousands lost power. No comment from the White House; no comment from the State Department. In 2000, Ariel Sharon went to the Temple Mount – the holiest place for the Jewish religion (third holiest for Islam and as a side note, as Jews walk away from the Western Wall, the last remaining retaining wall of the Temple Mount, we walk backwards so as not to turn our backs to the Wall out of disrespect. By contrast, the Arabs pray UP on the Temple Mount, by turning their backsides towards the Dome of the Rock (the rock being the rock upon which Abraham was commanded to sacrifice his son Isaac) and their faces towards Mecca, which is THEIR holiest site). Immediately, the Arabs started rioting and thus started the 2nd Intifada. It was later proven that the violence had been planned in advance; all that they lacked was the flame to ignite the match that stood ready to be burned. For some time now, another match has been prepared and has been waiting, only lacking the excuse that the Arabs could use. We had three boys kidnapped and murdered; the nation was held in agony for 18 days until the bodies were found. We didn’t stab innocents; we didn’t stone buses full of people wanting to pray; we didn’t burn down forests (several more fires were set yesterday); we didn’t pull poles out of the ground, bombard people with rocks. And we didn’t burn down three light-rail stations. We prayed; we sang; we implored God to bring the boys home safe. One Arab boy is murdered (no, Abu Mazen, he wasn’t kidnapped but really, nice attempt to take advantage of yet another propaganda prop), and within hours – the violence breaks out. Is this the 3rd Intifada? Maybe. Personally, I think we are so busy ignoring regular acts of violence that we’ve lost count of how many intifada’s they’ve launched at us. Third? Try Three hundredth! The swift reaction by the US government makes a mockery of any attempts to suggest they are balanced in this situation. The fact that an American citizen, Naftali Frenkel, was among the murdered youth shows how indifferent this administration is, even to the suffering of its own citizens. That they jumped within hours to condemn the murder, which certainly deserves to be condemned, is ironic considering that almost 15,000 people are murdered in the United States every year. Does the US government condemn each one within hours? Any of them? Thousands of honor killings take place every year – does the US condemn each one within hours? Any of them? As of 8 months ago, 11,420 children were murdered in the Syrian civil war that has claimed nearly 170,000 lives. Did the US condemn each one within hours? Any of them? Where was John Kerry when these Arab children were being murdered? Sure, he’s condemned Syria, but where are the tears for these children? Yet one Arab boy dies in as yet unexplained circumstances and the world rages. Abu Mazen can lie and blame Israel. Abu Mazen knows much less than the Israeli police (and if he knows more, it is because the murder was done by his people, not ours). The murderer of this Arab child will be found – most likely living very close to the boy’s family. And when that happens, I am completely confident that the New York Times will write about it…on page 57. I am confident that Obama will immediately make a phone call…to schedule his next golfing vacation. John Kerry will condemn…Micronesia. And, of course, the United Nations will condemn Israel for…for…for not providing public transportation to Shuafat, ignoring the fact that most of the train windows and doors have been pelted with rocks in that neighborhood, fires were set on the tracks, and, of course, Shuafat now has fewer street signs and no more rail stations, etc. 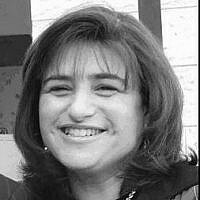 And somewhere, somehow, I am waiting for sanity to return to leaders of the world so that they think how terribly convenient the timing is that one day after three Israeli children (two of which were 16)…just one day after they were buried, suddenly a 16-year-old Arab child is “kidnapped” and murdered. As the Frenkel family said, murder is murder and blood is blood and a child is a child. This Arab child deserves justice as much as Eyal, Gilad, and Naftali. I want the murderers of ALL four of these teenage children brought to justice. I hope that all who abuse children, whether those children are in the United States, Syria, Gaza, in the Congo, and around the world, and yes, in Israel too – that all are punished. Sadly, so long as the US rushes as fast as….greased lightning…to get involved only in a murder because they feel confident that it was done by Jews and not Arabs…it is unlikely that justice for all children will be a reality in the near future.